Robert Landry hasn't added a story. 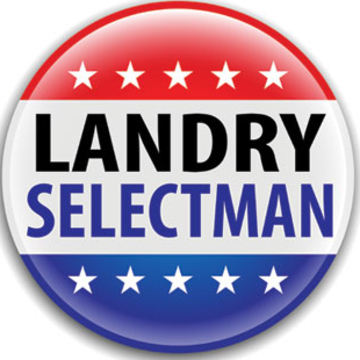 With the help of many supporters, I was elected to Andover's Board of Selectmen on Tuesday, March 24, 2015. In 2016, I led the effort that resulted in a comprehensive plan to reform retiree health insurance (OPEB) saving Andover taxpayers millions of dollars and reducing our $184 million unfunded liability to zero in 37 years. That liability would have exploded to $650 million without my reform plan. The foundation of the reform plan was a report I released on 2/1/2016. Click here to get a copy. I also pushed for real reform of the health insurance to active employees saving Andover's taxpayers millions of dollars. In my first year in office, we will finally move forward with a fiscally responsible plan to move Town Yard and unleash the potential of the Historic Mill District. I will continue to ask the tough questions and hold Town leadership accountable to taxpayers. Your contribution will help me reach more taxpayers with my message of positive change. PUBLIC EMPLOYEE WARNING: CAMPAIGN FINANCE LAWS PROHIBIT PUBLIC EMPLOYEES FROM SHARING CAMPAIGN DONATION PAGES ELECTRONICALLY (ON FACEBOOK, BY EMAIL, ETC.). NEW Thank you emails can now be sent directly from the Transactions page. Alternatively you can still leave a comment here. Follow this campaign to receive updates by email. Robert Landry hasn't posted any updates yet. People just like you have raised $141,000,000+ for causes they and their friends care about. Your media gallery is empty. That means you're missing a powerful opportunity to bring attention to your cause. The media gallery is empty. Delete this item from the media gallery? It will also be deleted from any related story update. The campaign video will appear in social media and email. The campaign cover picture will appear in social media and email. The will appear at the top of your campaign page and in social media and email. You can add to a tab on any Facebook Page which you manage. Please note that as of Nov 2017, only Pages with 2,000+ fans are able to install custom tabs. Embed a campaign widget on your Website or blog with just a few snippets of code. Include the Loader script on your page once. Include the Widget code where you want the widget to appear on your page. Send anyone this link to the campaign. Post your like on Facebook. Any pictures or videos will remain in the campaign's media gallery. Thank you. We take reports like yours very seriously. Our goal is to keep the community safe. Please know that we may contact you for more information, but that we won't notify you personally of our decision. If the campaign remains available within a few days, it's likely that we determined it not to be in violation of our policies. Thank you. We've already received your previous report. If the campaign remains available within a few days, it's likely that we determined it not to be in violation of our policies. Tell us about the problem. Please fill in both fields below. Please fill in both fields above. Nothing grabs attention for your cause like a personal video. Take a minute or two to record one now. Record a short video message of support. Or upload one from your device. You can preview or redo your video before you post it. Nothing grabs attention for your cause like a personal video. Upload a short video message of support. Upload a short video message of support. Or record one right now. Most effective video length: about a minute. You can preview or redo your video before you post it. Heads up! The existing video will be replaced. Share this campaign with up to 10 of your friends. We'll send them details of the campaign and your personal message (optional). Add up to 10 email addresses separated with a comma. We never share email addresses or send spam. Tell people why our cause matters to you. Your personal message will encourage others to help. Easy, effective, optional. Please provide a valid message (500 characters maximum). Short personal videos by supporters like you are incredibly powerful. Record one right now and you'll help us raise more money. Easy, optional, effective. Set a personal fundraising goal. You'll encourage more contributions if you do. And rest easy. There's no obligation to achieve your goal or bad consequences if you don't. Easy, optional, effective. Please enter a valid goal. Robert Landry is managing the funds for this campaign. The campaign is for a personal cause. , you're already on the team.